Amazon said Monday it had acquired the global television rights to "The Lord of the Rings," based on the celebrated fantasy novels by J.R.R. Tolkien, with a multi-season commitment. Set in Middle Earth, the adaptation will explore new storylines preceding Tolkien's "The Fellowship of the Ring," the internet streamer said, adding that the deal included a potential additional spin-off series. "'The Lord of the Rings' is a cultural phenomenon that has captured the imagination of generations of fans through literature and the big screen," said Sharon Tal Yguado, head of scripted series at Amazon Studios. The production budget will likely add another $100-$150 million a season -- but Amazon is seen as having deep pockets, as chairman Jeff Bezos has challenged his creative teams to come up with a prestigious fantasy series to rival "Game Of Thrones." "The Lord of the Rings" was named Amazon customers' favorite book of the millennium in 1999 and Britain's best-loved novel of all time in the BBC's The Big Read survey in 2003. 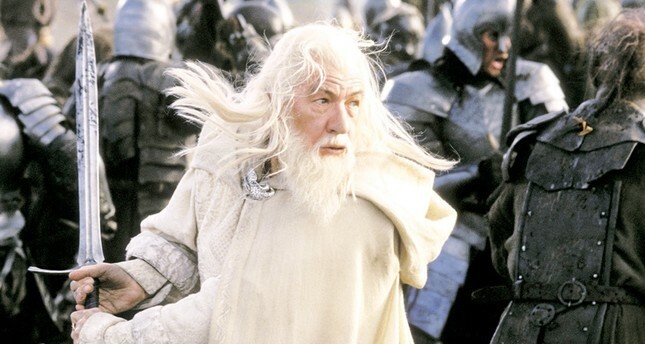 With an A-list cast that included Elijah Wood, Viggo Mortensen, Ian McKellen, Liv Tyler and Orlando Bloom, Peter Jackson's "The Lord of the Rings" movie trilogy earned almost $3 billion worldwide, scooping 17 Oscars in total. He followed up with a prequel trilogy based on Tolkien's "The Hobbit," which made almost the same at the box office. "We are delighted that Amazon, with its longstanding commitment to literature, is the home of the first-ever multi-season television series for 'The Lord of the Rings,'" said Matt Galsor, a representative for the Tolkien Estate and Trust and HarperCollins. "Sharon and the team at Amazon Studios have exceptional ideas to bring to the screen previously unexplored stories based on J.R.R. Tolkien's original writings."